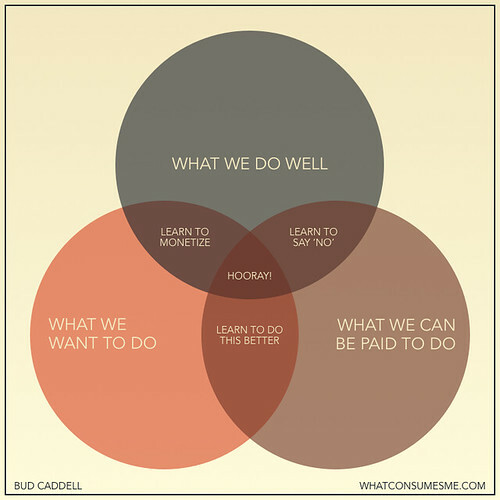 I found this great post and Venn diagram on the What Consumes Me blog via O’Reilly Radar. It’s very simple, very pragmatic, and coincidentally is quite similar to my career planning for individuals: intersect what you’re good at with what you like doing with what provides the level of pay you desire. Here’s the same idea, applied to business.